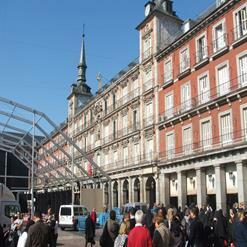 The Prado Museum is one of the top cultural sights of Madrid based on the beautiful Paseo del Prado houses the world's most comprehensive and richest collection of Spanish painting. The dazzling display of works by the great European masters such as Goya, Velázquez, Raphael, Bosch and Rubens are some of the popular ones. The museum also features a fine collection of works Dutch painter Hieronymus Bosch and Flemish painter Peter Paul Rubens along with number of Italian masterpieces.